Patients will be evaluated for recurrences and pain after one and three years. A total of 268 patients will be included at five different sites in Europe. Dr Frederik Berrevoet at the University Hospital of Ghent, Belgium is the principal coordinating investigator of the study. “We are eager to start including patients in this very important study. If we can show that the clinical results are superior when using an absorbable mesh, then this can fundamentally change the way we approach surgery to repair ventral hernias and restore the integrity of the abdominal wall”. Ventral or incisional hernias occur as a result of a weakness of the abdominal wall, often due to a prior surgical incision. 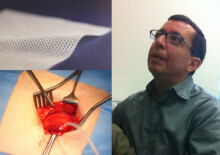 They are surgically repaired through the introduction of a reinforcing mesh, which traditionally is a permanent mesh that remains in the patient for the rest of his/her life – with the increased risk of long-term complications such as chronic pain. “We are convinced that a permanent prosthesis is not always necessary when treating what should be a temporary problem”, says Henrik Hjort, Product Manager of TIGR® Matrix at Novus Scientific. “The absorption and mechanical characteristics of TIGR® Matrix will likely lead to a better quality of life for the patients after their surgery. That some of the world’s most prominent researchers in this field are going to study this in a structured and scientific manner is very exciting”. Novus Scientific (www.novusscientific.com) is an innovator in the development and commercialization of resorbable (100% absorbable) synthetic medical devices. 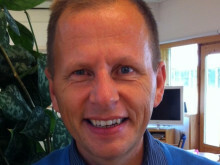 Global HQ is in Singapore while European Headquarters and the core R&D function are in Uppsala, Sweden. The company’s roots are Swedish as all the founders of Novus Scientific are previous owners / senior managers / members of the soft tissue-engineering project within Uppsala-based, Radi Medical Systems AB (now owned by St. Jude Medical Inc). The US Division, Novus Scientific, Inc. is based in San Diego, CA. TIGR® Matrix (www.tigrmatrix.com) - The world’s 1st long-term resorbable, 100% absorbable synthetic mesh with unique patented dual-fiber construction, designed for gradually increasing mechanical compliance.